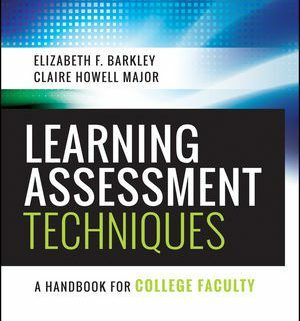 Elizabeth F. Barkley is the author of several widely used books on active learning in the classroom including Student Engagement Techniques: A Handbook for College Faculty (Jossey-Bass, 2010) and Collaborative Learning Techniques: A Handbook for College Faculty (Jossey-Bass, 2004) co-authored with Claire Howell Major and K. Patricia Cross. 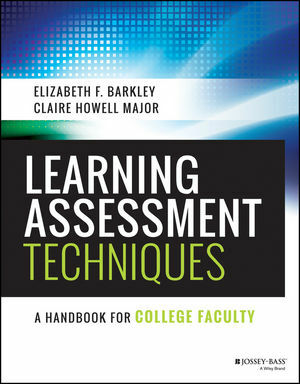 Learning Assessment Techniques: A Handbook for College Faculty, another collaboration between Barkley and Major, has just been published this January 2016 and provides 50 easy-to-implement active learning techniques that embed assessment strategies based on Fink’s Taxonomy of Significant Learning to gauge student learning in the classroom. You may order directly from the publisher. This title is also available from Amazon or Barnes and Noble.